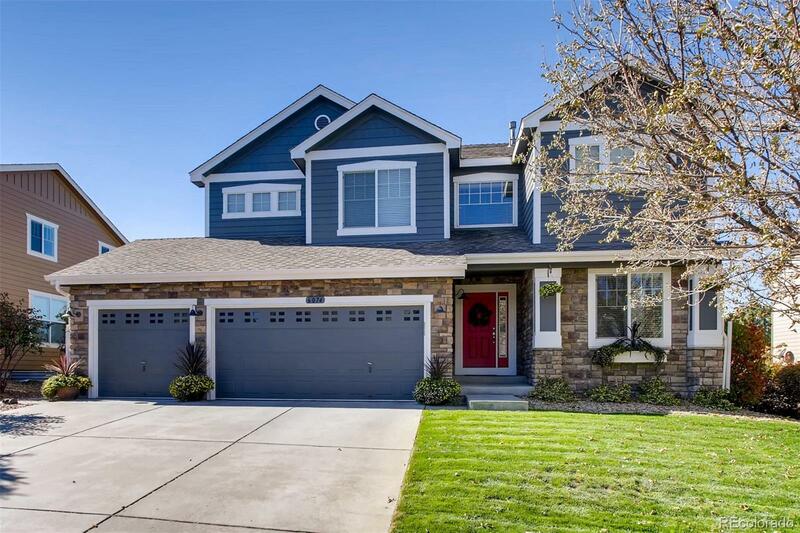 Beautifully updated 6 bedroom, 4 bath, Ryland Home, built in 2006. Walk into a spacious formal living room and dining area with new hardwood floors. Newer gourmet kitchen with an abundance of white cabinetry, center island, Silestone counter tops, tile floors. You'll enjoy the huge main floor family room (with hardwoods) and bedroom/study, 3/4 bath and laundry room. Upstairs you'll find an awesome mountain view from the huge loft, master suite with 5 pc master bath, 3 add'l bedrooms and full bathroom. Professionally finished basement with family room/rec room, bedroom and incredible new bath. You'll never tire of the oversized patio with unobstructed mountain views!! Don't overlook the 8" hardwoods, newer carpet and paint and 2"wood blinds throughout! Call today!